Former Alaska Governor Sarah Palin provides the “Keynote” speech at the Right Online 2012 to Conservative bloggers. Palin discussed the impact of the new media for information and activism. As stated by The Right Scoop, her entire speech was inspired by Andrew Breitbart, remembering his massive impact on all media, and all of us. Sarah Palin got in her digs to the old media, otherwise known as the lame stream media Palin went on to say that when the old media is not outright lying, they are lying by omission. The new media, from Mat Drudge to internet bloggers rose up because the old MSM, or as Andrew Breitbart called them the Democrat media complex, refused to tell the truth or refused to publish stories that went against their liberal agenda or those that they protected. Oh how the Lefty media just goes crazy over the words of Sarah Palin. If they can’t find a way to back Barack Obama and blame GWB for everything, they will finds a way to attack Sarah Palin. My how this woman’s words just rip at their every nerve. Sarah Palin ridiculed President Barack Obama at a conservative bloggers conference Friday for his “cocaine snorting” and eating dog as a child. In the end Sarah Palin asks, what would have happened in 2008 Presidential election if the MSM had actually done their job and properly vetted candidate Obama instead of carrying the water for their chosen one, Barack Obama. 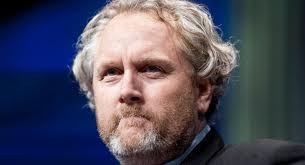 The Los Angeles County coroner Craig Harvey has completed its investigation into the death of Andrew Breitbart and it has been confirmed that he died of natural causes. The final cause of death was heart failure from coronary disease.However, no matter what the cause of death was, we lost a great man; however, his vision will never die … Breitbart will always be here. 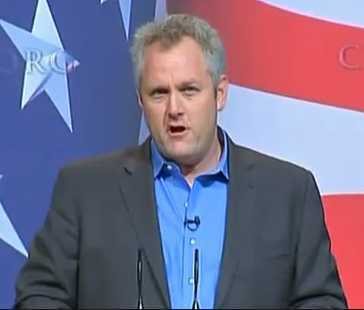 Sad news to report … Andrew Breitbart has passed away at the age of 43. We have lost one of the most courageous, pit bull, Conservative heroes and voices. As I drove to work I heard the news flash that Conservative activist, blogger and free speech hero Andrew Breitbart had unexpectedly passed away at the age of 43. According to accounts he collapsed while walking near his home. Andrew had a history of heart problems and it is believed he had a heart attack. As reported at the Hollywood Reporter, just hours before he passed he was talking politics. Andrew left behind a wife and 4 children. God Bless you Andrew and our prayers go out to your family and friends. It is a crushing loss to a man that I considered a great inspiration. Andrew Breitbart will be missed but not forgotten. Every Conservative blogger knows there is a piece of Andrew in all of us. His lasting legacy will be to never be ashamed of your Conservatism and to express you opinions and ideals always. 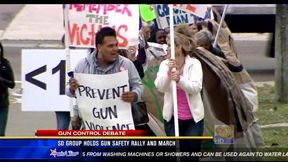 Never be afraid to make your feelings be heard, especially when the LEFT tries to silence you. Breitbart was walking last night near his Los Angeles home when he collapsed, said his father-in-law, actor Orson Bean. “He collapsed on the sidewalk and the paramedics were there very quickly and they couldn’t revive him,” Bean told Reuters in a phone interview. A friend of Breitbart told Reuters he had a history of heart problems and is believed to have suffered a heart attack. The brash and outspoken blogger and commentator, who published politically inspired photos and undercover videos, was the center of several major news websites, including www.Breitbart.tv, www.breitbart.com and www.biggovernment.com. More from the Other McCain. Andrew Breitbart fought the war against the institutional MSM. What I most admired most was his willingness to go into the Lion’s den and tajke them on. He backed down to no one and that drove the LEFT nuts. Breitbart’s death is a tragedy, not only for those who delighted in following him into battle but for those who cheered him on as well. Andrew was larger than life, a charismatic natural leader, a big man in every way — physically, spiritually, and intellectually. He would meet a total stranger and immediately try to enlist him or her into his army, railing against the Left’s mendacity and misdeeds. He would practically pick you up by the lapels and shake you in order to make you understand the furious, urgent necessity of his fight. However, to the dismay of the LEFT … this is hardly the end, Andrew Breitbart and his vision will live on. He inspired far too many people and showed all of us just what it takes to take on the institutional media and the crazy LEFT. Thank you for everything … Rest in Peace. Anthony Weiner finally admitted today that it was his weiner in the pics and he was the sender of the tweeted weiner pic. However, that was just the tip of the iceberg. Weiner also was forced to admit that that he engaged in several inappropriate on-line relationships with six woman over the past three years. NICE. That must have gone over well with Mrs. Weiner. Rep. Anthony Weiner of New York said today he has engaged in “several inappropriate” electronic relationships with six women over three years, and that he publicly lied about a photo of himself sent over Twitter to a college student in Seattle over a week ago. You take full responsibility? Hardly. Sorry Weiner, but you denied this story from the outset and attacked those that were telling the truth. You went after Andrew Breitbart and called him a liar. It wasn’t that long ago that you called yourself the victim. Who in the end was the devious, lying sack of garbage? What a shock, the politician. The only reason why this liar came forwarded and admitted his wrong doing was the The announcement came as ABC News prepared to release an interview with Meagan Broussard, a 26-year-old single mother from Texas. Your goose was cooked. Democrat House minority leader Nancy Pelosi (D-CA) calls for an ethics investigation for Anthony Weiner. Pelosi says that she is disappointed over Weinergate. Is she disappointed and saddened over what occurred, or that he finally had to come clean and admit he was guilty of tweeting winer pics?